Audubon Hollow is a new, 3-acre community of 22 homes surrounding a football field-sized park described as an “urban forest.” Audubon Hollow’s winding driveway crosses a natural ravine, part of the regional flood control network, via a 32-foot-long arched metal bridge. Engineers designed a complex retaining wall system of mechanically stabilized earth (MSE) to raise the land out of the floodplain and establish flat home sites. Brown and Gay Engineers designed an underground detention system to mitigate the effects of stormwater runoff into the ravine. High runoff rates associated with urban development can have negative impacts on waterways and erode natural channels. 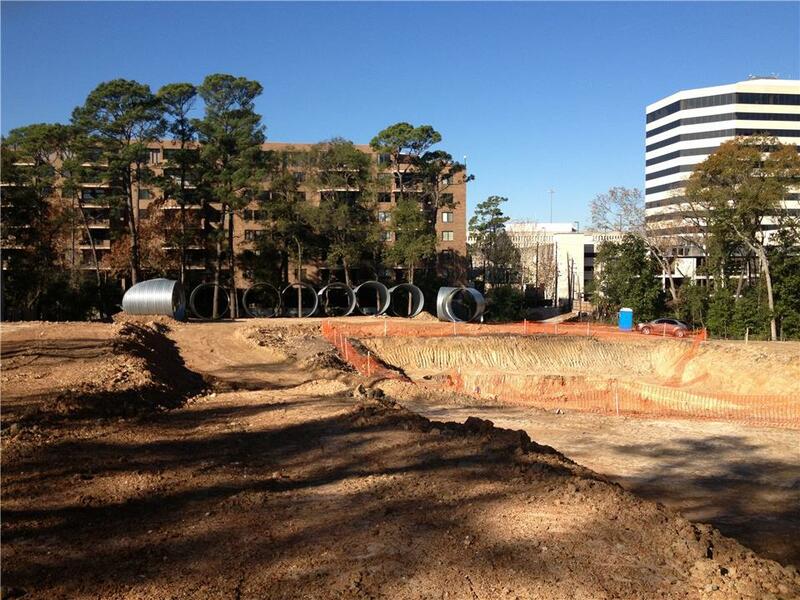 With the high cost of land in this part of Houston, they placed the system below grade to maximize available site area. The system is buried under the street and central park, holding the stormwater and slowly releasing it into the ravine. A total of 469 linear feet of 144" perforated Corrugated Metal Pipe (CMP) from Contech Engineered Solutions was used to build the detention system. 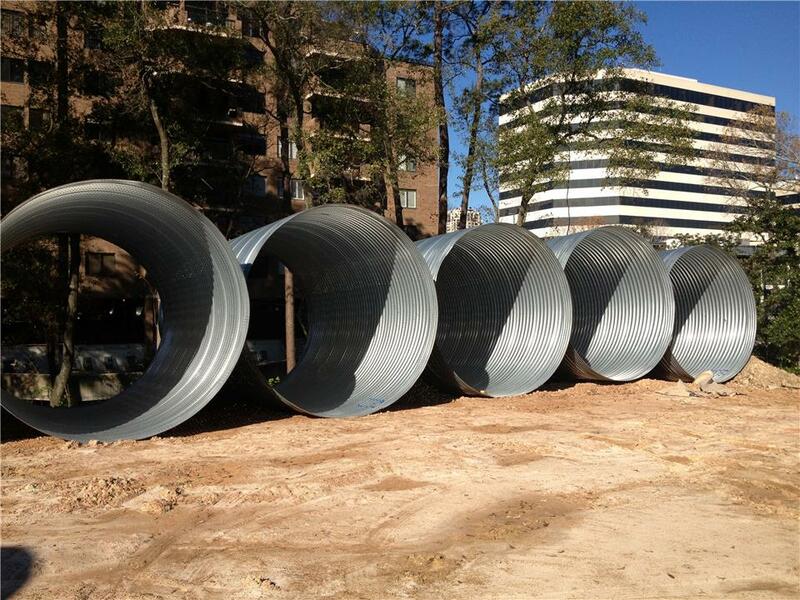 The large diameter pipe maximized the storage in a small footprint and minimized project costs. Perforated CMP was chosen to take advantage of the void space in the porous stone around the pipes to store a portion of the detention volume. Maintenance access was provided by a custom 36” CMP riser that has prefabricated stubs to connect to the sites’ drainage piping.